It's no secret that a college education in America is expensive, especially when you are continuing your education in the field of nursing. For most, funding their education is not easy. In order to ease the financial burden, students can apply for scholarships. There are a variety of scholarships available for nursing students - whether they are working on an Associate's Degree, Bachelor's Degree, or Master's Degree. The field of healthcare is continuously changing and progressing. Nurses must be able to keep up with the changes in order to maintain excellence in their profession. Nurses are committed to providing a level of quality patient care which comes with the willingness to continue to learn. Continuing education (CE) allows for nurses to uphold a necessary level of confidence and competence while working with patients. In order to keep up with all the evolving information, nurses can continue their education by completing an RN to BSN degree program or a BSN to MSN degree program. In most cases, nurses must complete a specified amount of CE hours within a defined time frame in order to renew and maintain state licensure. In recent years, online CE courses have become a popular mode for continuing education. This is due in part to the fact that online programs offer greater flexibility and at times more affordability. Before taking any CE courses, one should make sure to choose a state approved institution of higher education. Many scholarships and grants are available for nurses who are continuing their education or just starting their education. However, not all scholarships and grants are alike. Numerous scholarships are restricted to certain schools or states. In other cases, scholarships might be reserved for students from certain backgrounds or who are pursuing specialized certifications. There are even scholarships specifically available for Registered Nurses (RNs) working towards a BSN (Bachelor of Science in Nursing) or MSN (Master of Science in Nursing). Below you will find a list of scholarships and grants that are nationally available to help students of varying levels on their path towards a long and rewarding career in nursing. Be sure to read each scholarship's rules and regulations before applying. Good luck! A Nurse I Am offers a $2,000 scholarship to student nurses at any level in an effort to help with the cost of their nursing education. 2016 marked the 10th anniversary of the Cherokee Uniforms A Nurse I Am Scholarship. Since it began, Cherokee has provided almost 100 scholarships to student nurses, totaling $188,000. This scholarship is open to undergraduate and graduate students. The AfterCollege-AACN Scholarship Fund is available to students who are working towards a BSN, MSN, or doctoral degree in nursing. One scholarship in the amount of $2,500 will be awarded to each quarter. Those applying must already be enrolled in an AACN member institution (check to see if your school is a AACN member: AACN Members). More information about this scholarship can be found here on their website. In 1983m the A.T. Anderson Memorial Scholarship was established in 1983 by the American Indian Science and Engineering Society (AISES). The scholarship was named in memory of A.T. Anderson, who was a chemical engineer and an AISES founder. This scholarship is open to college students who are AISES members of American Indian or Alaskan Native ethnicity. Students must have at least a 3.0 GPA and should be working toward a degree in engineering, medicine, natural resources, math, and other sciences. Visit the A.T. Anderson Memorial Scholarship website to learn more. ACLS Medical Training seeks to improve outcomes by empowering individual paramedics, nurses, physician assistants, nurse practitioners and physicians. Each year, they offer a $1,000 scholarship to the top award winner and two runners-up will receive a free pass to the ACLS Medical Training certification program of their choice (BLS, ACLS, or PALS). Entrants will be asked to write an essay between 500 and 1000 words on assisting someone (or preparing to assist someone) in a life support scenario. Any high school senior or college student is eligible to apply. Learn more about this scholarship here. Each year, the Florida Nurses Foundation provides information on funds for nursing students and registered nurses for scholarship and research grants. The mission of the Florida Nurses Foundation is to promote the field of nursing through the advancement of research, education, and practice. On their site, you will be able to download various scholarship and research grant applications. More information on the scholarships through the Florida Nurses Foundation can be found on their website. The American Holistic Nurses Association Research Grant offers a competitive $5,000 award to AHNA members who are conducting research on holistic nursing. Entrants must have been members of AHNA for at least one year and must submit a 3-5 page research proposal. Applicants should be doctoral students who will use funds to support their research. More information on this scholarship can be found on their website. The Tylenol Future Care Scholarship offers a variety of different scholarships to students in the United States who are working towards furthering their education in any facet of health care. The scholarships offered through this program vary in size from $1,000-$10,000. Tylenol has been offering this scholarship for over 20 years and is proud to continue supporting those dedicated to the field of health care. Read more on the Tylenol Future Care Scholarship here. 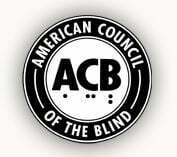 The American Council of the Blind (ACB) awards about 20 scholarships each year ranging from $1,000 to $4,000 in amount to vocational, entering freshmen, undergraduate, and graduate college students who are legally blind. Students should also maintain a 3.3 GPA and should be involved in their school/local community. Learn more about ACB's scholarship guidelines and complete the online application here. This scholarship has been established in memory of Stephanie Carroll, long-time valued NADONA employee. It will be granted to a nursing enrolled in an accredited program who commits to spending two years after graduation in long-term care or geriatrics. Nursing students in an undergraduate or graduate program are eligible to apply for this scholarship. Entrants will be asked to respond to a short essay question. 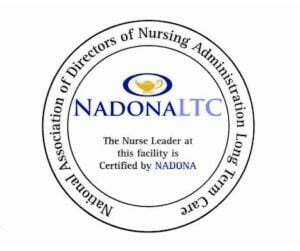 Find out more about the NADONA/LTC Stephanie Carroll Memorial Scholarship. The AAOHN Foundation has a mission to advance knowledge in occupational and environmental health through awarding grants and scholarships to occupational and environmental health professionals. The awards are made possible by generous contributions from sponsors including two $2,500 scholarships funded by Liberty Mutual Insurance, two $2,500 scholarships funded by UPS, and two $1500 professional development scholarships funded by MEDITRAX. Find out more about the professional development scholarships from the AAOHN here. The American Cancer Society's Doctoral Scholarship in Cancer Nursing was established by the American Cancer Society. The scholarship is awarded to graduate students pursuing doctoral study in the field of cancer nursing research, education, administration, or clinical practice. The initial awards are made for up to two years with the possibility of a two-year renewal. Each year there is a stipend of $15,000 per year. Candidates must already have an MSN and should be working towards a doctoral degree. Learn more about the American Cancer Society's Doctoral Scholarship in Cancer Nursing. The Barbara Rhomberg Excellence in Nursing Scholarship is sponsored by B4 Brands. This scholarship is awarded annually to a non-traditional, fulltime student working towards an undergraduate degree in nursing. Non-traditional refers to a student that did not immediately continue their education after high school (at least a 3-year gap). It also refers to students who had their college careers interrupted, due to a need to enter the workforce, military, or fulfilled a family or non-profit obligation. The $1,000 scholarship is made payable directly to the scholarship winner's institution. More information on the Barbara Rhomberg Excellence in Nursing Scholarship can be found here. The American Nurses Association established the Ethnic/Racial Minority Doctoral Fellowships for minority registered nurses. Entrants must be pursuing a doctoral degree in Psychiatric/Mental Health Nursing or a closely related field. In most cases, applicants should hold a master's degree in Psychiatric/Mental Health Nursing or a closely related field. The Minority Fellowship Program provides three- to five-year Fellowships to master's-degree-prepared minority nurses who are pursuing doctoral study (PhD, DNP, and BS-to-PhD) on minority mental illness or substance abuse disorders. The amount varies each year. Learn more about the Minority Fellowship program. The Foundation of the National Student Nurses Association (FNSNA) was created in 1969 to honor Frances Tompkins, who was the Association's first Executive Director. Since 1974, the FNSNA has awarded over $4.3 million dollars in scholarships to undergraduate nursing students. To qualify for this scholarship, students must be in an accelerated BSN program. Accelerated BSN students are eligible to apply for the scholarships by providing proof of acceptance and or enrollment in a state approved nursing school, in addition to all other required documents. The American School Health Association created the School Nursing Scholarship for juniors, seniors, or graduate students who are enrolled full time at a college or university and have a declared major in school nursing. Read more about the American School Health Association School Nursing Scholarship. The NLN Nursing Education Research Grants Program supports high-quality studies that add to the growth of nursing education. Three to five research grants are awarded every year up to $25,000 each to NLN individual members and faculty of NLN member schools. Funding for these grants are provided through endowments and donations to the NLN Foundation for Nursing Education. Applicants must be current NLN members, either through school or individually. Read more on the NLN Nursing Education Research Grants Guidelines. The Anne Rizzolo Doctoral Research Award is a $2,500 award offered each year to support PhD doctoral dissertation nursing education research or DNP final project nursing education research. The winner of this scholarship will also receive a one-year student membership from the NLN (National League for Nursing). The application process is open to the public; however, preference will be given to NLN members. Entrants will be required to provide evidence that the proposed study has been approved by their dissertation project committee and that IRB approval has been obtained, where applicable. Learn more about the Mary Anne Rizzolo Doctoral Research Award. This $5000 scholarship is granted yearly to one nurse researcher or doctoral dissertation student. The scholarship is to support the use of technology in nursing education research. In addition to the monetary reward, the winner will also receive a one-year membership from the NLN. Applicants must hold a master's or doctoral degree or be enrolled in a doctoral nursing program (DNP, DNS, EdD, or PhD) and must be a registered nurse with current license. Note that preference will be given to STTI and/or NLN members. Find out more about the The Sigma Theta Tau International / National League for Nursing Research Award. Learn more about the NURSE Corps Scholarship Program. The Dare to Soar Career Mobility Scholarship supports one qualified ANNA (American Nephrology Nurses' Association) member seeking a BSN or an advanced degree in the nephrology nursing practice. Entrants must be full members of ANNA for at least two years, enrolled or accepted in a baccalaureate or higher degree program in nursing, and currently employed in nephrology nursing. The F. Edward Hébert Armed Forces Health Professions Scholarship Program is available to qualifying students who are working towards earning a professional/graduate degree from accredited medical, dental, optometry, veterinary, psychiatric nurse practitioner, clinical, or counseling psychology program. The U.S. Army health care team will pay 100 percent the entrant's tuition. In exchange, active duty service obligation to the U.S. Army will be one year of service for every year you receive the scholarship. The minimum obligation depends on the health care field. To qualify for the Health Professions Scholarship Program, one must be a U.S. citizen with a baccalaureate degree from an accredited school, be enrolled in (or have a letter or acceptance from) an accredited graduate program in the U.S. or Puerto Rico (varies by specialty), maintain full-time student status during the length of the program, and qualify as a commissioned officer. Learn more about the F. Edward Hébert Armed Forces Health Professions Scholarship Program. The Caroline E. Holt Nursing Scholarship, established by the National Society Daughters of the American Revolution (DAR), is a one-time award given to students who are in financial need and either have been accepted into or are already enrolled in an accredited school of nursing. An award in the amount of $2,500 is given to three. A letter of acceptance into a nursing program or a transcript stating the applicant is in a Nursing program must be included with the application. Find out more about The Caroline E. Hold Nursing Scholarship through the DAR website. The Madeline Pickett (Halbert) Cogswell Nursing Scholarship is granted to two students. The award is in the amount of $2,500. Students must be accepted or enrolled in an accredited nursing program. Entrants must be members, descendents of members, or be eligible for membership in NSDAR. More information on the Madeline Pickett (Halbert) Cogswell Nursing Scholarship can be found on the DAR website. The NBNA (The National Black Nurses Association) Cynthia J. Hickman "Pay It Forward" Nursing Scholarship help students continue their education. Entrants must currently be enrolled in a nursing program (BSN, AD, Diploma, or LPN/LVN). Applicants must also be in good scholastic standing at the time of application, have one year of school remaining, and must be a member of NBNA ). Learn more about the Cynthia J. Hickman "Pay It Forward" Nursing Scholarship. The Common Knowledge Scholarship Foundation (CKSF) requires entrants to register with CKSF and take two multiple-choice quizzes on the nursing curriculum. The highest scoring student on both quizzes wins the scholarship. Find out more about the Common Knowledge Scholarship Foundation. The AAC (American Addiction Centers) aims to help those who are helping others. They offer 3 scholarships for those studying in the fields of behavioral health, counseling, psychology, social work, nursing, or related sciences. To qualify, applicant must be a full or part-time undergraduate or college graduate student. Student must be entering or enrolled in behavioral health, nursing, counseling, psychology, social work, marriage/ family therapy, or other program focusing on treating mental health and/or substance abuse issues. Entrants will be asked to respond to an essay question with 400-500 words. Learn more about the scholarships offered by the American Addiction Centers.